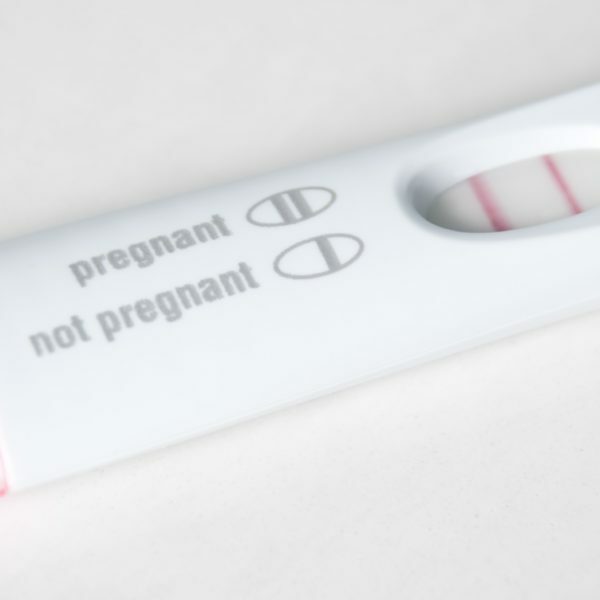 Did you get a positive pregnancy test but it still doesn’t feel real- AT ALL? Are you pregnant and completely shocked? I know the feeling! I was there not too long ago and learning that I was pregnant felt surreal. I took 4 home pregnancy tests to confirm my pregnant status and each one was positive. I was going to have a baby!! And now, you are too. 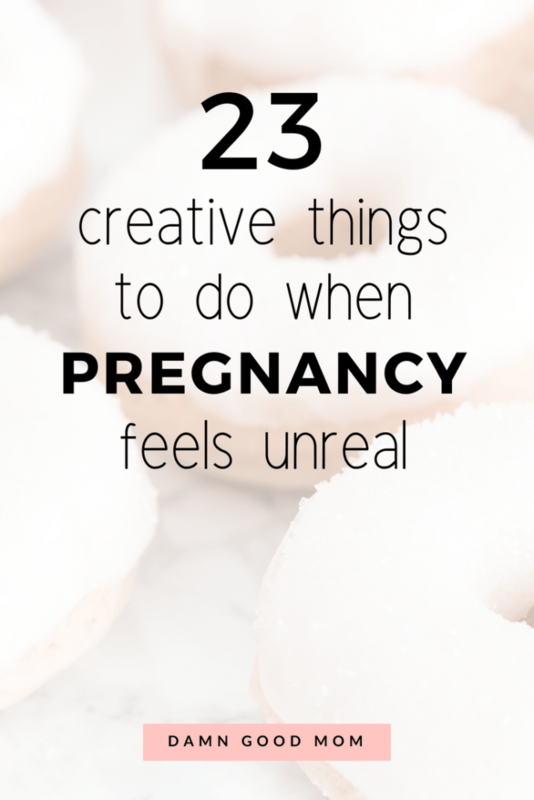 Here are some things you can do to make your pregnancy feel real. 1. Say “I’m pregnant” out loud. Our words are powerful. Maybe it times for you to hear your pregnancy status in your own voice. Say it loud. Say it proud. 2. Have your partner say it to you or text it to you. There is nothing like going through your texts and reading “Honey, we are going to have a baby!”. Ahhh!! You are having a baby!!! 3. Next time you are at Target or shopping where there are baby supplies, walk through the baby section slowly. Hint: start checking out the prices. Before you were pregnant, you probably skipped the section altogether. It will soon become your first stop! 4. Buy an inexpensive baby item. You may only be a few weeks pregnant but having that first baby item, no matter how small, can make pregnancy feel so real! A cute little gender-neutral onesie would be perfect. Grandparents will not let you forget you are pregnant once you tell them. The constant reminders will help you feel like a mom-t0-be, for sure! 6. Stand in the mirror and rub your tummy. It seems silly but there is a baby growing in there. It will soon be kicking and doing all kinds of aerobics. Enjoy! A pedicure to relax for yourself baby 😉 is a great way to begin feeling good about your journey into motherhood. It’s never to early to start preparing for your little one. Organize. Clean. Nest. Below is a list of steps that outline 23 steps to take when you learn you are pregnant. 9. Start reading pregnancy books. Nothing says ‘pregnant’ like a women reading pregnancy books. 10. Start following quality pregnancy resources on social media, blogs, and websites. I love Alpha Mom’s week-by-week pregnancy calendar. Her posts serve education and entertainment! 11. Purchase a baby skincare product and use it at night. The Honest Company has some yummy smelling baby products that are non-toxic. You get to test out a product and think of baby while you dream. 12. Sign-up for pregnant freebies. Getting free gifts in the mail with baby goodies is a nice reminder that baby is coming. 13. Evaluate that ultrasound photo. Have you sat down and looked at the ultrasound? Do it again. That’s your name. Your baby! If you are early in your pregnancy, it may still look like a little alien but soon it will be a full-grown human! Ah-mazing! 14. Park in the “Expecting Moms” parking space. The discounts and free 2-day shipping on baby products will be a Godsend when baby arrives. You can also use Amazon to create a Baby Registry. 16. Hang out with other pregnant women. Women who are pregnant talk about being pregnant. Ha. Baby talk seems endless when you are pregnant, especially when you begin to show. 17. Start looking at lists of names. Pinterest is a great resource for look up baby name posts. I was interested in unisex names and we finally decided on Jordyn. I love it! 18. 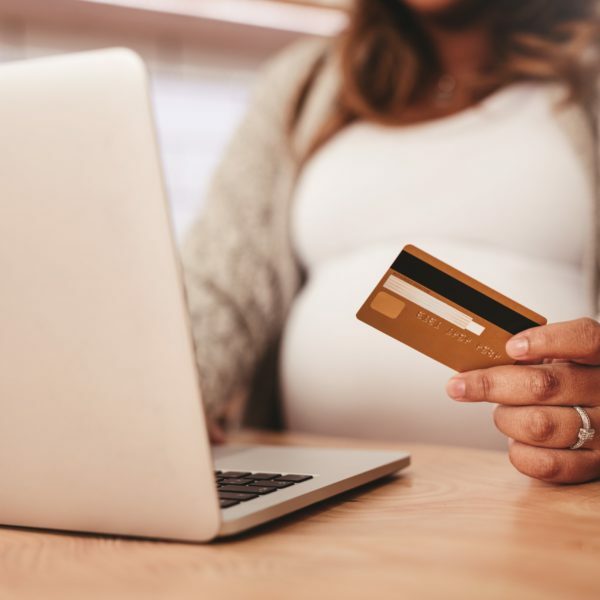 Start planning for baby financially. I had insurance and still ended up with 4 bills. 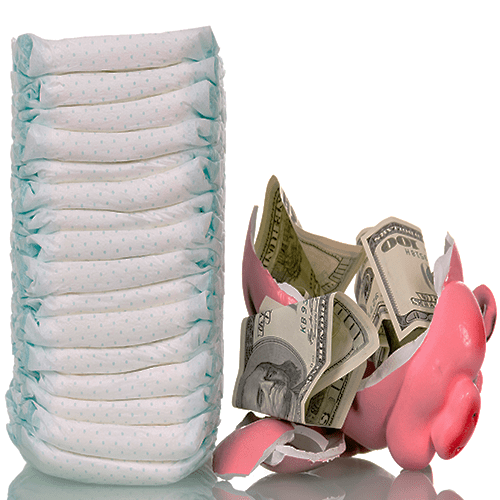 It’s never to early to start budgeting and saving for baby. If you need some help, download the Pregnancy Budget Toolkit. It’s FREE. If you are far enough along, tell your co-workers. Not unlike your parents, they not likely to let you forget you are pregnant. 20. Create a baby box. Use an old shoe box or an expensive box and write prayers or wishes you have for your baby. Post-pregnancy, you will love looking back at all your thoughts and prayers before you gave birth. It’s beautiful! 21. Watch and read baby stories. I’m so guilty of watching and reading dozens of baby stories. I didn’t watch them before I was pregnant but they were my Friday night jam during pregnancy. Find some good baby story reads here. 22. Tape/stick a funny photo on the fridge. When you are pregnant you wonder what your baby will look like. Use an app to merge a photo of you and your partner for a funny photo of what baby will look like. He/she will probably look like dad. 23. Pray daily for your baby and your family. Adding baby to your prayers is a great way to make it all feel real! I was gifted a weekly prayer book for pregnant women and it made me feel better about my worries and concerns, especially during the sleepless nights. I hope some of these tips help you make your pregnancy feel more real. I wish you the very best on your journey! It’s emotional, beautiful, and life-changing becoming a mom! I can’t believe there was a time I didn’t want this. Now, I can’t imagine life without my little girl. You may be shocked but keep rocking your pregnancy with grace! You got this!